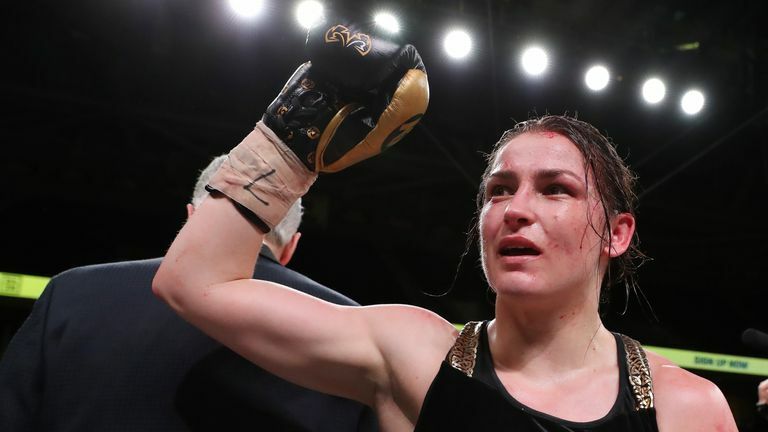 Katie Taylor says a showdown with Delfine Persoon to become the undisputed lightweight champion of the world would be her toughest fight yet. Eddie Hearn has confirmed that Taylor is in line to face Persoon in an undisputed unification clash on the undercard of Anthony Joshua's heavyweight title defence against Jarrell Miller on June 1, live on Sky Sports Box Office. Taylor made history by becoming the first Irish fighter to hold three of the four major world titles, after stopping Rose Volante last Saturday to add the WBO lightweight strap to her WBA and IBF belts. 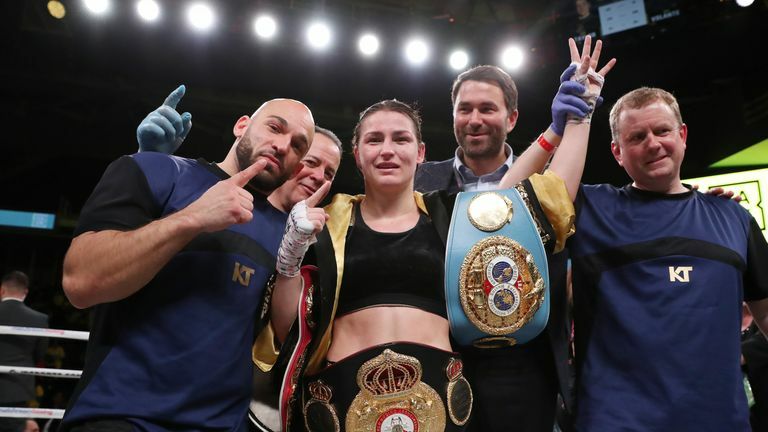 Persoon holds the remaining WBC belt after the Belgian extended her record to 43-1 to retain the title with a stoppage win over Melissa St Vil on March 9. "I have to be 100 per cent going into it - she is a great champion. She's had over 40 fights and only one loss. She's a great fighter all round so that's going to be a fantastic fight and I can't wait for it.